MBC’s hit reality show “Real Men” will add four new faces, including actor Chun Jung-myung and boy band Super Junior-M’s Henry, while three of its original cast members will drop. 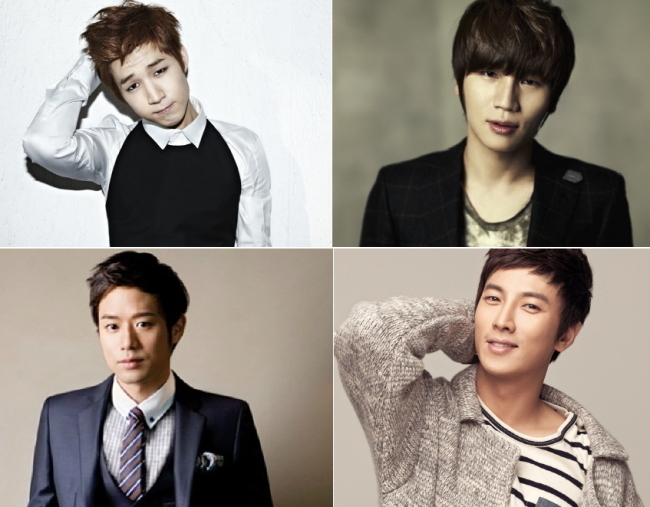 “The four new cast members are actor Park Geon-Hyeong, singer K. Will, Super Junior-M’s Henry and actor Chun Jung-myung,” the TV channel said in a press release Friday. The reality show, which began airing in April last year, follows the life of male celebrities as they join the army as new conscripts. It was the most-watched show in its time slot last week with a viewer rating of about 15 percent. Its current cast lineup features actors Kim Soo-ro, Jang Hyuk, Ryu Soo-young, boy band ZE:A’s Park Hyung-sik, singer Son Jin-young, Australian comedian Sam Hammington and comedian Seo Kyung-suk. The three members who will drop are Jang Hyuk, Ryu Soo-young and Son Jin-young. The first episode starring the new members is likely to air later this month or early next month, the channel said.